It has been a long time coming that I get back to making cupcakes. 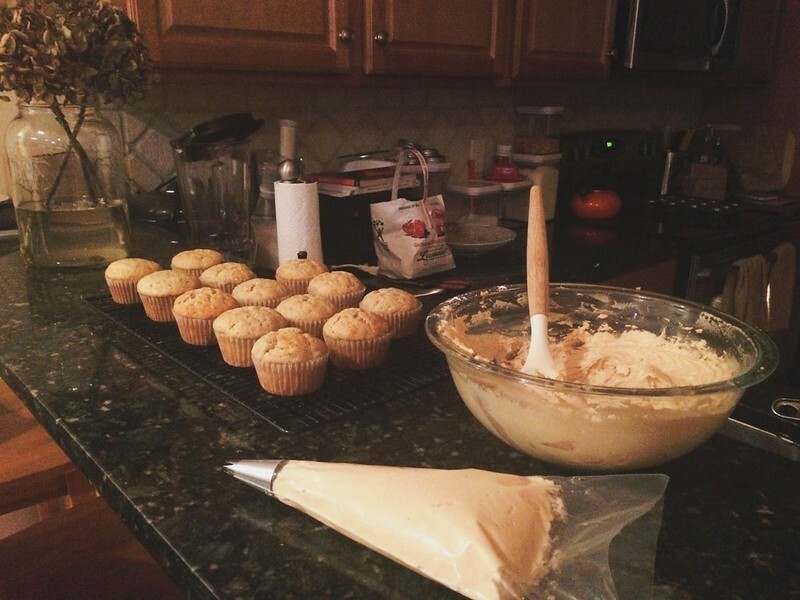 I bake often to relieve stress and to fuel my teams during busy season. The life of an auditor is a yummy one, for my teams anyway. I was feeling a little stir crazy tonight and recalled a conversation I had earlier this month with Mr. E. He had only recently learned of the classic Elvis in the form of a smoothie and it had me hankering for a hunka hunka burning peanut butter and banana sandwich. I spied four bananas getting ripe on my kitchen counter, saved for a likely healthy destination. I took it upon myself to steer these babies away from healthy to a world of fat and sugar and magic. Preheat oven to 350 degrees. Line a cupcake pan with paper liners. I got 14 cupcakes from the recipe. In a large bowl, whisk together flour, sugar, baking powder, baking soda, and salt. Add melted butter, bananas, eggs and vanilla. Using a hand mixer, mix until just combined. Do not over mix or you will get a tough crumb. Fill cupcake liners about 2/3 full. Bake for about 17-20 minutes or until a toothpick inserted in the middle comes out clean. Remove from pan and let cool completely prior to frosting. 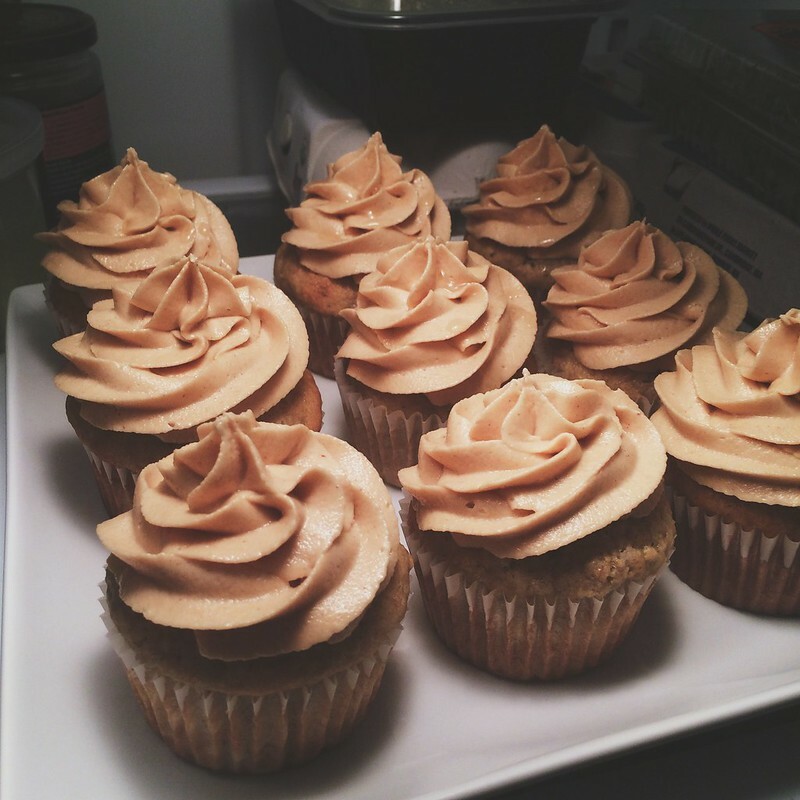 To make the frosting, cream together peanut butter, cream cheese, and butter until fluffy using a hand mixer. Gradually add the powdered sugar until well combined. Add vanilla extract. To frost, I used my handy dandy 1M star tip because it makes the frosting look too pretty to eat. To complete the Elvis flavor trifecta, drizzle honey just before serving. These were ridiculous. The frosting is light and sweet and salty. 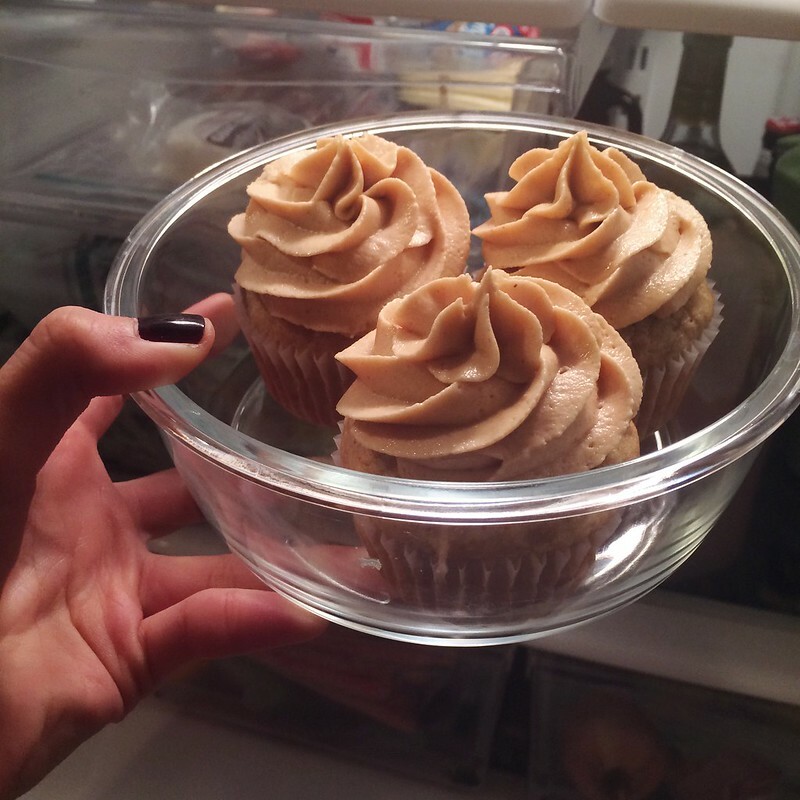 If you love peanut butter and bananas, you will love these!